Drive around the back roads of Marathon, Texas, and you can't miss it. Domes and vaulted roofs painted outrageous hues of orange, purple and pink rise above neighborhood trees and houses. What appears to be a Mediterranean village gone psychedelic is actually Eve's Garden Bed and Breakfast and Ecology Resource Center. This fantasy retreat is the creation of Kate Thayer and Clyde Curry, part of their dream to grow organic food and create housing both beautiful and environmentally sound. Within the grounds of Eve's Garden, winding paths lead to lush gardens and fishponds. Intimate nooks and crannies secluded in curved walls invite guests to curl up with a cup of tea and a book. Beyond the gardens, mountains and space – seemingly endless space – meet the edge of town. "This place is a sanctuary of beauty and serenity," says Priscilla Wiggins, a part-time resident of Marathon whose paintings are featured at the inn. Mr. Curry and Ms. Thayer are a perfect balance of talents and the responsibilities they share at Eve's Garden. He constructed the domed buildings with paper crete, an innovative material made of shredded recycled paper, recycled Styrofoam and portland cement. It's lightweight, easy to work with and has outstanding insulation properties. Ms. Thayer is responsible for the gardens, interior decor and the breakfasts served to guests. Much of her time is spent at work in a 4,000-square-foot greenhouse on the property. A jungle of colorful flowers, fruits and vegetables, it supplies much of what ends up on the breakfast table. On my visit, all the rooms were ablaze with brilliant orange, yellow and red nasturtiums grown by Ms. Thayer. That morning, she served an omelet made with onions, mushrooms and freshly picked zucchini. It accompanied homemade apple and walnut muffins and fresh fruit salad. The B&B's main building is a 100-year-old frame house renovated by the couple. It contains the kitchen, two dining rooms, living room and a 44-foot lap pool. The rooms are filled with antiques, and the walls are covered with pictures, many by local artists. In the living room, a massive coffee table separates two cushy couches. Although it's tempting never to leave the magic of Eve's Garden, exploring Marathon should be on any visitor's list. The high desert climate (altitude of 4,000 feet) makes it one of the coolest places in Texas. A railroad shipping point for cattle in the early 20th century, the town now relies heavily on tourism. Most of Marathon's 660 residents are supported in some way by the industry. The Gage Hotel, on the main street (U.S. Highway 90), opened in 1927. It's a major focal point, with a bar and an excellent restaurant with indoor and outdoor dining. The boardwalk, east of the Gage, features stores, galleries, a soda fountain and sandwich place, and a bakery. Just west of the Gage, the Marathon Coffee Shop, with Internet access, is a popular hangout. The back roads of Marathon, on the north side behind the Gage Hotel, are worth a look, too. This is the highest part of town, with views of several mountain ranges. Old Victorian style buildings mix it up with adobe houses and the occasional corral with one or two horses. A museum displays early ranching and railroad memorabilia. Then there is Alan Tennant, author of the best-selling book On the Wing. "I looked at a nighttime satellite map of North America that showed light images," said Mr. Tennant. 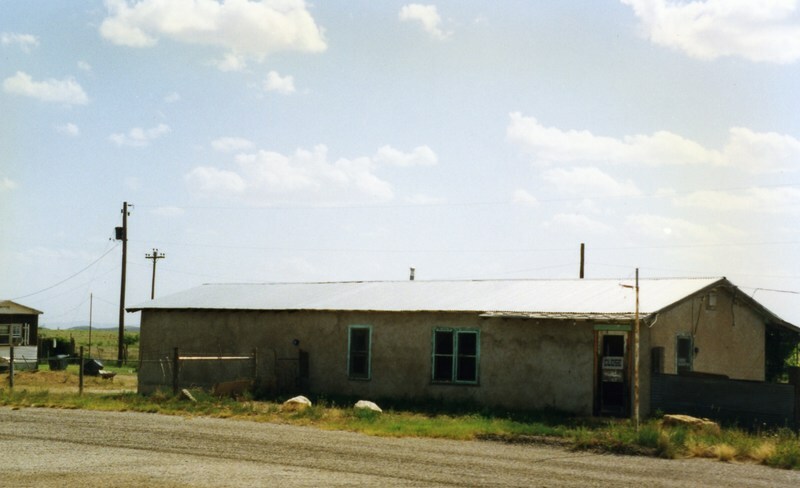 "In the Trans Pecos, there were fewer lights than anywhere, which meant less intrusion of people onto the land. So I moved to Marathon." Kelly Fenstermaker is a freelance writer in Fort Davis, Texas. Gage Hotel, 432-386-4205. Open every night. The Cottonwood Station, 432-386-4300. Open Thursday, Friday and Saturday nights, with live music Friday and Saturday. The Courtyard Caf? (in the Marathon Motel), 432-386-4241. Wednesday through Sunday serving breakfast (8 to 11 a.m.) and dinner (6 to 9 p.m.). Eve's Garden, 432-386-4165; www.evesgarden.org. Rates: $110 to $135. Gage Hotel, 432-386-4205; www.gagehotel.com. Rates: $69 to $300. Marathon Motel, 1-866-386-4241. 432-386-4241; www.marathonmotel.c om. Rooms from $70 per couple. Marathon Chamber of Commerce: 432-386-4516; www.marathontexas.c om. Eve's Garden really is a cool place....spent about an hour touring it last year. Backroad of Marathon! That's all there is are backroads! Yes, my grandmother ran a notorious bar in Marathon for years. She still lives next to it. It was notorous because she was so mean. She kept a shotgun and a few German Shephards (trained to kill) behind the bar. Anybody that irritated her got a mouthful of cursing. If you more than irritated her, she's whip out the shotgun. She also kept a cursing parrot on the bar. She would tell new customers not to curse in her bar, then they would pass by the parrot and he would say "F*** You". My grandfather gave me my first taste of Coors beer in that bar when I was barely 7 years old. My cousins and I spent a whole summer in the brush between the bar and her house. She wouldn't let us in the house when she wasn't home. If we had to use the restroom, it was rocks for toilet paper. The bar is right after the railroad tracks heading to BBNP. She tried to outrun a train one night when she was drunk. The train won...pushed her car way down the tracks. She lived through it without permanent injury. She finally sobered up and closed the bar. Sobering up (and getting older) didn't make her any nicer. Last time I went to her house was with my dad. We pulled into the driveway and her dogs surrounded the car barking bloody murder. My grandfather came out and shut the dogs up. When we got out of the car, we heard her yelling from inside the house "Who the f*** is out there!". My cousin took his fiance to meet her before they got married. The first thing my grandmother said when he met her is "so this is the whore you're going to marry!". Needless to say, she has never met my wife or my kids. There's a picture of her in the book "Big Bend Pictures" by James Evans. Don't remember the page, but I think the photo is titled "Melba". It is a picture of her laughing. James said he interviewed her and told her he heard she had a reputation for having a mouth like a sailor...she just laughed...that's when he took the picture. Aw, shux, I bet she'd welcome her great grand babies with open arms! Go to http://www.bigbendpictures.com/archive.htm to view the full-size version. Very cool bar, thought about reopening same? Ahh, no. She's a little chubbier. I've got the book. Page 83. That's your grandmother? I can't get the book right now, my baby is sleeping in that room. But I think the title is Melba. She is laughing and holding a chihuahua. Starring Tommy Lee Jones as the Grandfather!